Enjoy a chair that boasts soft leatherette fabric and is available in numerous dazzling colors � the Julian Occasional Chair from Zuo Modern. This superb chair includes curved lines and slim wood legs that deliver the perfect mix of style and function. 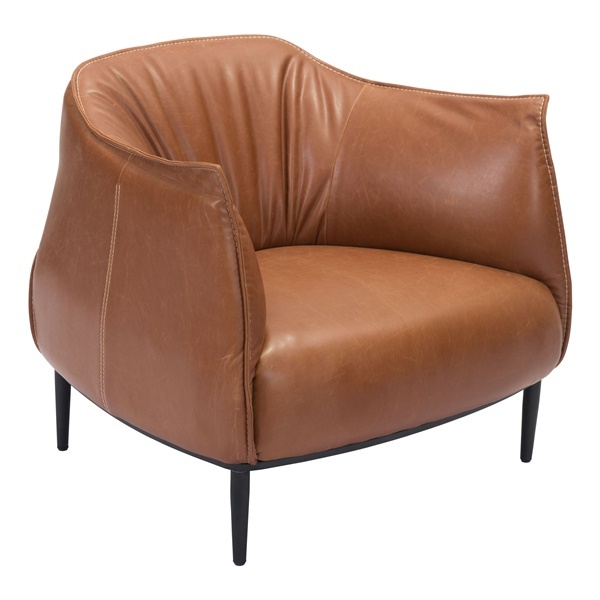 Plus, the chair boasts a wonderful exterior that is sure to complement the d�cor in any modern or retro living room. Choose a living room chair that is both glamorous and practical � the Julian Occasional Chair. Available in numerous eye-catching colors. Soft marbled leatherette exterior guarantees outstanding comfort. Slim wood legs are both stylish and practical. Curved lines ensure the chair adds a touch of flair in any modern or retro setting. Can the legs of this chair be removed in order to get it through a doorway? Thanks. We do not recommend taking the legs off this chair as it arrives to you fully assembled.